RFN Photo - From left to right: RFN Board member Chuck Woodside, Rep. Adrian Smith, RFN Executive Director Troy Bredenkamp, Nebraska Ethanol Board member Scott McPheeters, RFN Board member Mark Christensen. 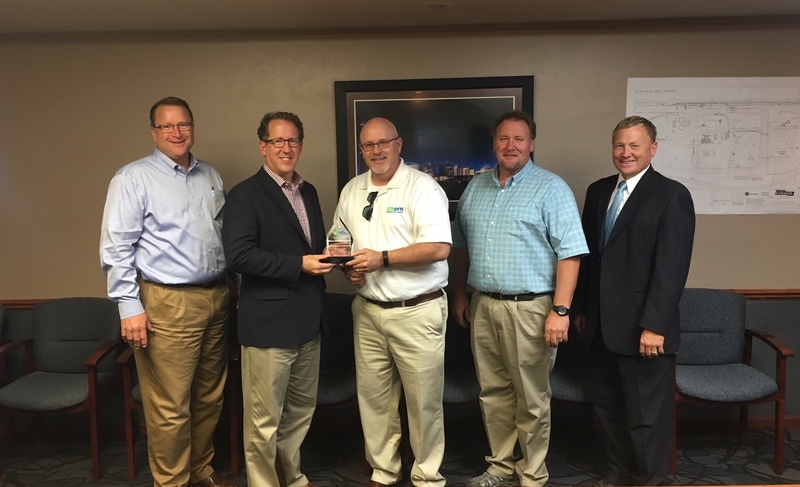 LINCOLN, NEBRASKA, September 21 – Congressman Adrian Smith (R-NE) has been recognized as a 2018 High Octane Champion by Renewable Fuels Nebraska, the trade association for Nebraska’s ethanol industry. The award was developed by the RFN membership as a way to recognize public policy leaders that strongly support Nebraska’s $5 billion ethanol industry.